our calling to guatemala - deepstreamguatemalas jimdo page! Some of you may be familiar with what God has been doing in our lives recently. We cannot begin to scratch the surface in this letter, but look forward to catching up with you personally to talk more! 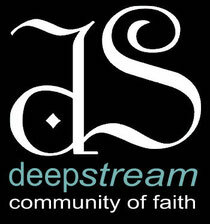 You can also check out a few blogs we have posted along the way at www.deepstreamguatemala.com. To sum up how we feel: we are madly in love with Jesus. We have heard the call, and we are on our way to share the depths of Christ's love and grace to the people of Guatemala. Our hearts have been broken for those who are poor…without food and shelter…for the sick and dying…for those who are suffering. But we are burning with the desire to do something; to help, to love, to do as much as we can to bring God's Kingdom here on earth. Last fall, we found ourselves comfortable in the routine and repetition of life. We shared with God and each other that we had fallen into a spiritual “rut” – becoming alarmingly comfortable in our little bubble, static in our faith, and basically just coasting through life. We had once again been lulled to sleep by the world around us. In the weeks and months to follow, God poured his spirit on us - revealing how much of the world we live in is painfully poor, and physically dying. He showed us our own wealth, and revealed our misuse of it. During this process, we became hungry for more. More exposure, more learning, more faith, more love, and more Jesus. Our hearts have not stopped being disturbed, and our faith has not stopped being challenged. God answered our prayer more powerfully than we could have imagined. Not long ago, we finally gave in to the persuasion of Jesus to let go. While being called to serve as “missionaries” in a foreign country is not necessarily revolutionary, for us it took some time - seeking and praying. Ultimately, we concluded that our time here is just too short not to go. We serve a God who gave up his son so that we may live, and we find it an honor to give up our own lives so that Christ may live in us - no matter what it costs and no matter where it takes us. As we prayed about where God was taking us, the one thing he revealed right away - and continues to confirm - is the need to live in close proximity to the poor. In an incredible way that only God could craft, a missionary from Guatemala visited deepStream one Friday night. We connected. While he came for entirely different reasons than to share about Guatemala, we could not stop asking him about his life there. Our hearts broke as he spoke of the great needs – the orphaned, homeless, widowed, addicted, sick, dying, and empty. But it wasn’t the needs of the community that convinced us to visit Guatemala (we know there are similar needs practically everywhere). What led us there was a burning in our hearts that this connection with Guatemala was specifically God’s doing. Two months ago, our family visited Guatemala for a week and we fell in love with the people. We saw the tremendous needs, we saw the hungry, and the sick. We were able to love beautiful children who were longing to be hugged, held, played with and fed. We were able to take part in home-building projects. We met local christians desiring to bring sports and activities to the poor neighborhoods. We learned of homeless children and the dire need of more orphanages. We left Guatemala longing to come back, our hearts and minds spinning with thoughts and ideas. So here we are, preparing to relocate with one-way tickets to Guatemala. While there are many unknowns at this point, the one thing we know for sure is this - the most effective way to bring the wonderful love of Jesus to anyone is to live with them, to get to know them, and to care for them. Doing this allows them to see Jesus in us – a necessary supplement to hearing about Jesus from us. We are currently making all of the necessary steps to move. Our home is under contract, and we close June 30th. Our intention is to arrive by early August, begin language school, and get to know the community. As we work hard to learn Spanish as fast as possible, we will look and listen for God everyday to connect us with those in need. GOD knows all and sees all…HE has something extraordinary planned and it is such an honor to be a part of it! We would love for you to partner with us in prayer and through financial support. We are getting so very excited about God using the great resources here in the states to transform communities there in Guatemala. We look forward to doing this together as a team with our friends and family in Christ. 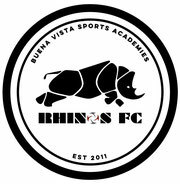 Raising financial support is a necessary part of this process, and an area that initially we were not comfortable with. The thought of asking our loved ones for “assistance” did not appeal to us at all. But God has been teaching us a new perspective. He has reminded us that this is HIS movement and activity we are asking our friends and family to support, not our own agenda. He has taught us that all followers of Christ, if not called to be “goers”, are called to be “senders.” Several others have also reminded us that many people long to have a cause to support that they trust, believe deeply in, or are closely connected to. I pray that our calling to serve the poor in Guatemala can be that trusted cause that you can feel excited about supporting. Each of us (our family) believe fully with our collective heart and soul that God is calling us to serve and live amongst the poor in Guatemala. We would be naïve to suggest that we know every detail God has for us, but what little he has already shown us is enough for now. We are humbled and excited to accept his invitation, and are asking you to prayerfully consider supporting this missionary journey. For now, we are simply responding to the unmistakable voice of Jesus, saying “go and see what I have for you.” Through whatever vehicle God provides, our desire is to help transform communities where poverty has stolen the hope, joy, and life from the people. These are communities we have seen for ourselves. We believe that once we get there, learn the language, and seek God’s path for us, he will give us specific avenues to make that vision a reality! Whether or not you are able to support us financially, please partner with us in prayer. Please pray for the needs of the communities in Guatemala. Also for our faith to follow wherever Jesus has us to go, and to stay close to him so we can hear whatever he calls us to do. Thank you for being a part of this with us! We love you all, and thank you for allowing us to share our journey with you. May we all continue to be encouraged, stretched, and awed by our Creator.